Jeep Grand Cherokee Trackhawk is powered 6.2-liter supercharged Hellcat V8 that makes 707 bhp and enables the SUV to go from 0-100 kmph in 3.62. The long-anticipated Jeep Grand Cherokee Trackhawk has finally made its debut and it surely looks worth the wait. 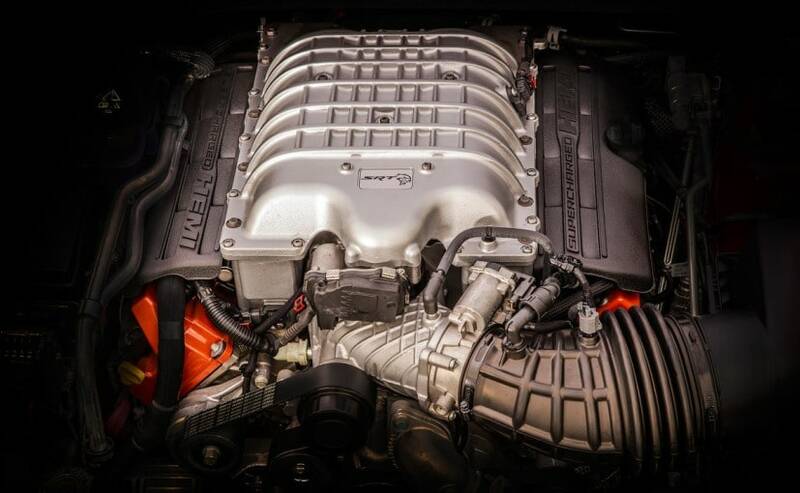 Powered by the 6.2 liter supercharged Hellcat V8, which does duty on the Dodge Challenger and the Charger Hellcat, the new Grand Cherokee Trackhawk churns out a monstrous 707 bhp and develops 875 Nm of peak torque. 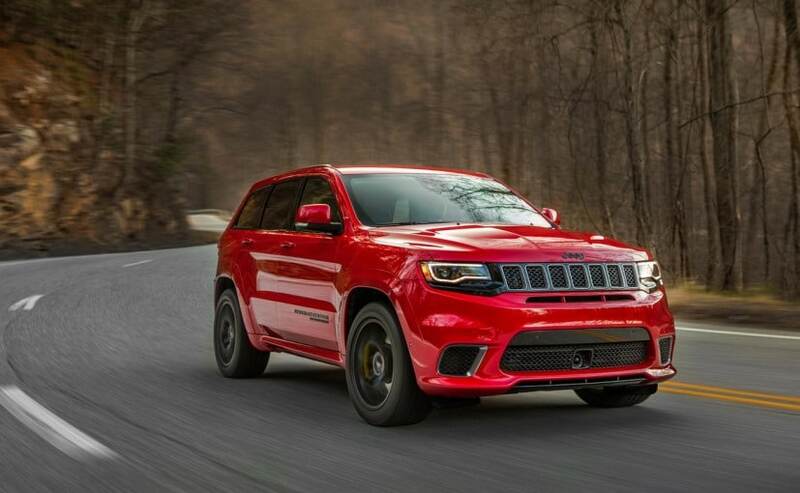 This makes the Trackhawk the American manufacturer's most powerful SUV and also one the quickest SUVs with the ability to go from 0-100 kmph in 3.62 seconds. Jeep will launch the Grand Cherokee Trackhawk in the US towards the end of 2017, but it is too soon to talk about an India launch. 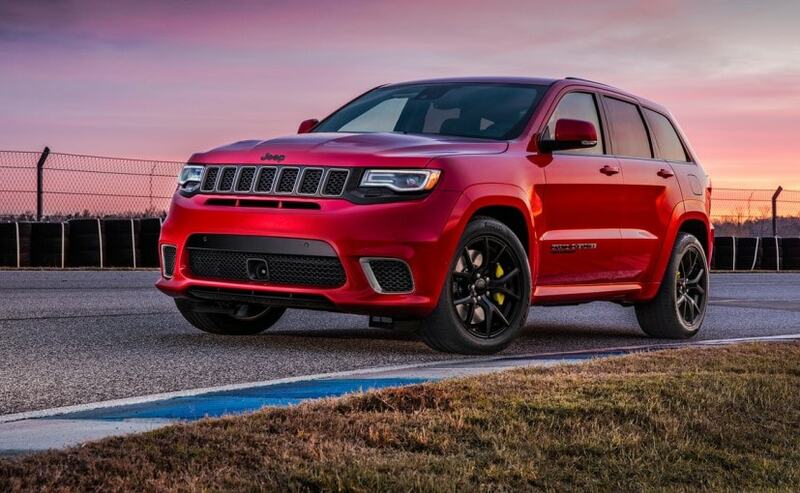 Interestingly despite using the monstrous 6.2-liter supercharged Hellcat V8, Jeep has still managed to equip the Grand Cherokee Trackhawk with an all-wheel-drive (AWD) system. Earlier rumours suggested that the Jeep engineers might have to de-tune the motor to sustain the longevity of the SUV's all-wheel-drive components. But with just a few adjustments to the components, they managed to retain the 707 bhp of peak power. 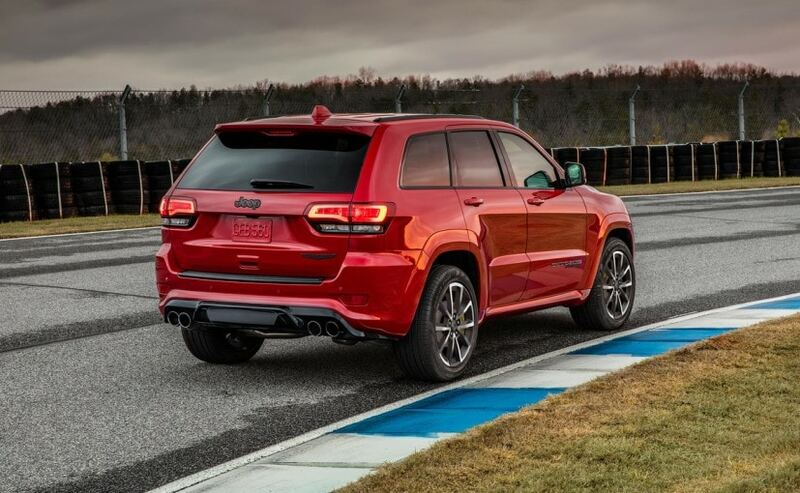 To handle all that power Jeep has equipped the Grand Cherokee Trackhawk with its trusted eight-speed automatic gearbox with many upgrades for added strength. And this will come as standard. The gearbox sends power through the all-wheel-drive system with an electronically controlled limited-slip differential for the rear wheels. Coming to its looks, the Jeep Grand Cherokee Trackhawk looks like the Grand Cherokee SRT only with a lot more muscle. The signature 7-slat grille in black chrome and the projector headlamps with LED daytime running lights look similar to the latter but the Trackhawk gets an additional slit below the grille that aids in cooling. The front bumper looks a bit more muscular and the body coloured flared wheel arches cover the new 20-inch black alloy wheels. The either side of the front door the SUV gets the 'Grand Cherokee Trackhawk' badging, while the rear features a quad exhaust system. The cabin has also been revised as the cockpit is now more driver-focused and the tachometer is now placed at the centre of the instrument console. There is a new 8.4-inch at the centre of the dashboard that features Trackhawk-exclusive pages for monitoring performance metrics. 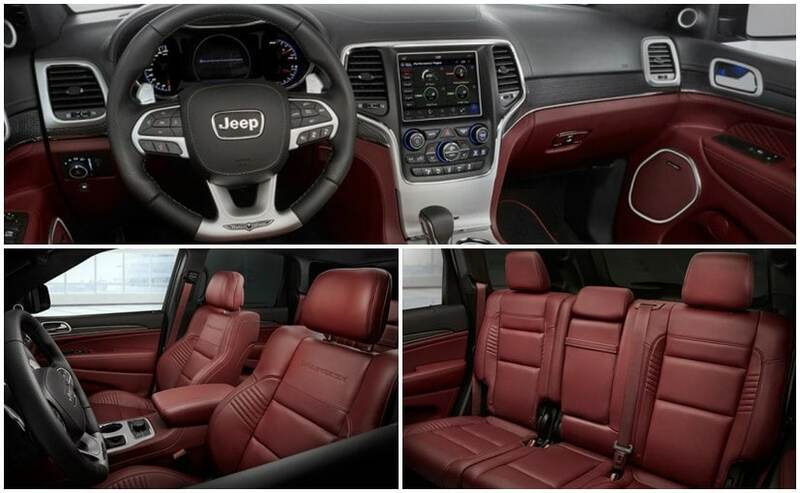 The cabin also gets Nappa leather seats as standard but as an optional package you can opt for a Signature Leather Interior Package covers the whole cabin in black or Dark Ruby Red.